We have recently extended our many years of expertise in industrial series coating to functionalized powder coating systems. In addition to the economic benefits, there are numerous applications that require only partial coating of the components. The powder coating process offers a variety of possibilities through effective masking measures. Newly developed high-performance powder coatings enable the functionalization of component surfaces. 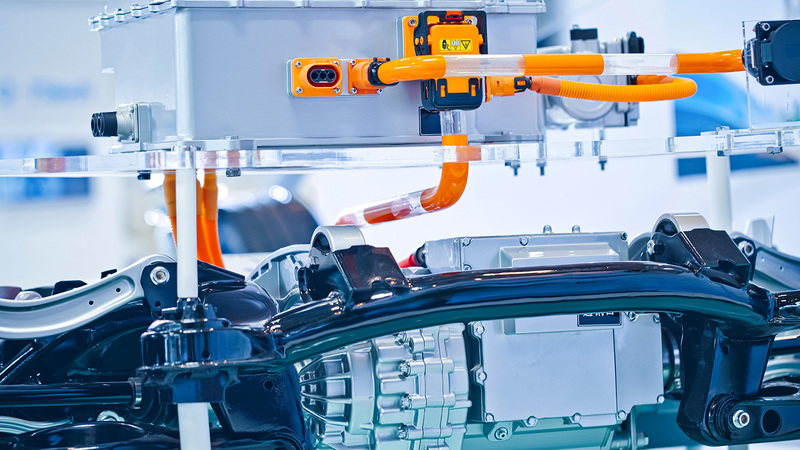 Especially in the New Mobility segments of electromobility, we have recently implemented numerous applications. Further functionalizations serve to increase corrosion protection, heat resistance and abrasion resistance, to reduce surface temperature and susceptibility to contamination or to expand the friction properties of surfaces.